We are sharing our July First Friday Breakfast with New York Times and USA Today Bestselling author Debra Holland, a three-time Romance Writers of America Golden Heart finalist and one time winner. She’s the author of The Montana Sky Series, sweet historical Western romance, which she originally self-published as ebooks. 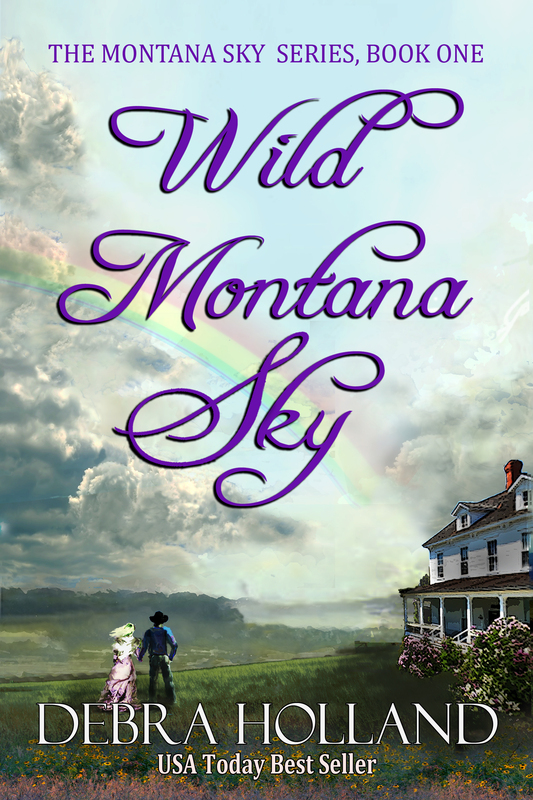 In her first year, she had 97,000 sales, made the USA Today list with Wild Montana Sky, and sold Wild Montana Sky and Starry Montana Sky to Amazon Montlake. In February of 2013, Amazon selected Starry Montana Sky as one of the Top 50 Greatest Love Stories. We’ve been critique partners for seven years, and it’s been a delight to celebrate her success. Debra is also the author of the self-published The Gods’ Dream Trilogy (fantasy romance.) She has a nonfiction book, The Essential Guide to Grief and Grieving from Alpha Books (a subsidiary of Penguin). She’s a contributing author to The Naked Truth About Self-Publishing. A treat for us: she has a free ebooklet available on her website, http://drdebraholland.com: 58 Tips for Getting What You Want From a Difficult Conversation. 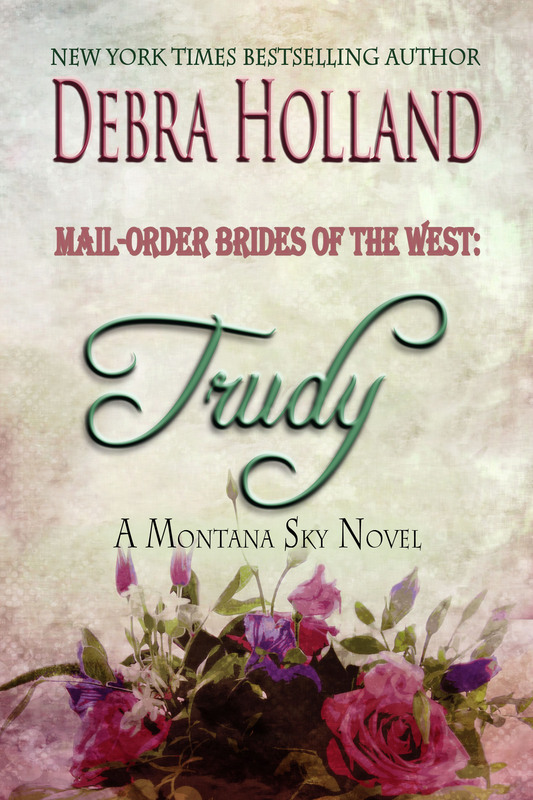 Mail-Order Brides of the West: Trudy and Harvest of Dreams are her latest books. More about these two later. ‘Morning Debra and hope you had a happy 4th of July. Thank you for joining us today. I’ve just baked myself a mini croissant, that’s been rising all night, with my usual egg, red beet and cabbage kraut, and arugula salad topped with banana, figs, blueberries, Rotture di Oro olive oil and pecans. What are you having? I usually have two breakfasts because I work out most mornings–women’s fitness bootcamp. So I have a smoothie or coffee and a small oat bran bar before bootcamp and afterward, I have scrambled eggs with veggies, maybe two strips of turkey bacon, and some berries on the side. I’ll have a cup of green tea, either hot or with ice. Let me pour you a glass of iced green tea. Congratulations on your success beginning with e-publishing and then–as result of excellent sales–landing contracts with traditional publishers. Besides writing a great story, what is one thing that you’d recommend doing to a new writer to reach their audience. Make sure your story is professionally edited. You want your book to be your very best–whether you submit it to a publisher or self-publish. Debra, tell us about your writing process from concept to draft to revision. Usually, I start toying with a story idea. I jot down notes, bits of dialogue or a scene, long before I start writing the book. Sometimes, I plot the book out–which makes for faster writing. Sometimes I just start. I like to write one to two thousand words a day, then the next day I reread, edit, and add to the last day’s pages. Then I write again and repeat. I go over each scene about three times before moving on, layering each time. But the time I’m finished, the book is pretty much done. Fantasy novels require skillful world building. How did you evolve the Gods’ Dream Trilogy world? I’ll top your ice tea while you talk. The Gods’ Dream Trilogy evolved in pieces. I started with a short story I intended to submit to Andre Norton’s Witch World anthologies. I queried her, and she responded that she was no longer doing the Witch World anthologies. But her note was chatty, talking about the weather and her cats. I wrote back and we began a correspondence that would last until the end of her life. In the meantime, I changed my story world from Andre’s to mine, expanded my short story to a novella titled Withea’s World, submitted it into a contest and won. But at that time, there wasn’t anything an unpublished author could do with a novella, so I expanded to a short book of 42,000 words. I entered Withea’s World in the Romance Writers of America Golden Heart contest and ended up finaling. But there still weren’t opportunities available for such a short book. So I got an idea to make it longer–about 90,000 words. My critique partner mentioned he could see it becoming a trilogy, and I agreed. Neither of my two agents could sell Sower of Dreams , so after the success of my self-published Montana Sky Series, I self-published the first two books of The Gods’ Dream Trilogy. Book two is Reaper of Dreams . The piecemeal process of this trilogy has made writing book three–Harvest of Dreams–extremely difficult. I have a very complex plot–action happening in three different places, with a lot of characters. Each book has a hero and heroine and all six have point of views. I have various Gods and Goddesses and secondary characters. The book has taken me FAR longer to write than I intended, and looks like it will be about 110-115,000 words–20-25,000 longer than the first two. 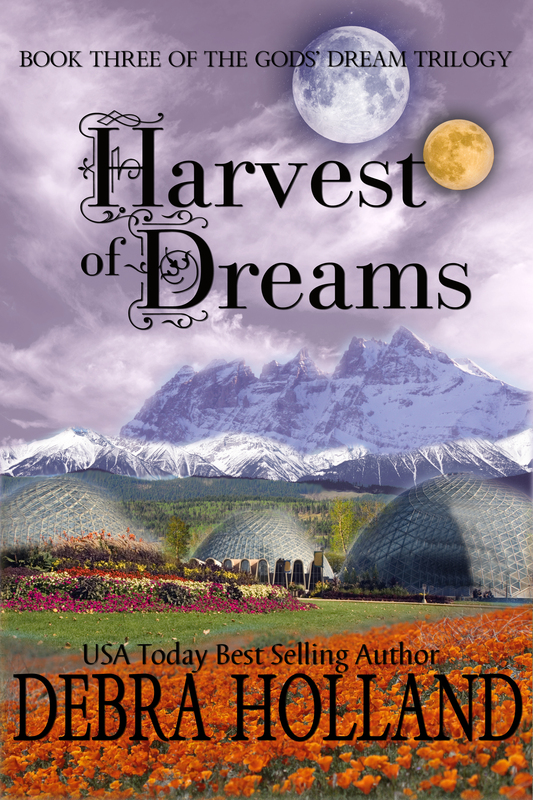 Harvest of Dreams is currently available on Amazon for pre-order. What are you working on now? When and where will it be available? I’m in the final editing stages for Mail-Order Brides of the West: Trudy, currently available on Amazon on pre-order, going live on July 23rd. I’m also finishing and editing Harvest of Dreams . After that comes two short Montana Sky Christmas stories. I own and enjoyed your previous collection Montana Sky Christmas: A Sweetwater Springs Short Story Collection. I’ll look forward to new stories. Thank you for sharing your breakfast and writing life, Debra. Congratulations on your success. I wish you joy in your writing. You can learn more about Debra at http://drdebraholland.com as well as on Facebook at http://www.facebook.com/debra.holland.731. I’ve already pre-ordered my copy of Mail-Order Brides of the West: Trudy . Before you blast off to Amazon or Barnes & Noble to get your own copies of Debra Holland’s books, let me pour another glass of iced green tea. This entry was posted in Uncategorized, WRITING and tagged Andre Norton, author, Debra Holland, editing, Fantasy, Harvest of Dreams, Mail-Order Brides of the West: Trudy, Montlake, New York Times Bestseller, Reaper of Dreams, Romance, Sower of Dreams, Starry Montana Sky, The Essential Guide to Grief and Grieving, USA Today Bestseller, Wild Montana Sky, writing. Bookmark the permalink.